How to Generate Sales Leads for Luxury Car Brand? Want to generate leads for luxury car brand? It can be a daunting task for marketers to generate high quality leads for luxury brands. They confront with many hurdles while marketing for the luxury brand. Many times customers fill the inquiry form due to attractiveness of product. But when they come to know about the pricing they start avoiding sales calls. Quality leads is the major issue in luxury space. But they are many ways to avoid this problem and be the master of generating sales leads for luxury car brand. Connect with high income group to generate sales leads. If you are missing this point then you may lost many business opportunities. There are many ways to reach to high income people. That can be done through social media, display ad and email marketing. The reason behind this because luxury brands are not for masses. They are only made for high income group. Convey message to audience clearly that you are marketing for the luxury car brand. If might miss lots of opportunity if you are not sending entire communication material with specifications. You may lost the interest of the user and it would hinder in attaining their email ids. Social media is an effective tool to reach at any target audience. It provides various tools to reach at your target audience from low to high income groups. Anyone can target audience as per their interest and behavior. Email marketing an an effective to generate leads for luxury car brand. First, you should be aware with the point that very few audience would be interested in email marketing. These people can be businessman as well as top level executives of companies. If your luxury car brand is into the reach of top key executives of companies then you are just step away to convert them into leads. There would be many sources to acquire database to generate leads for luxury car brand. Fundoodata is one of the leading provider of B2b database. 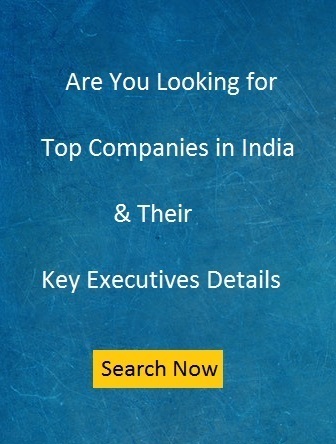 It gives the opportunity to connect with key executives of top companies in India. It provides business email ids of head of HR, IT, Purchase, Admin. You can also get the data of MD, Ceo. The best way to connect with such top level professional is email id. They would never pick your call and discuss about the product you are selling. Although, you are expect the revert on mail if you are pitching with the right product. While selling luxury car brand, it is very important to connect with the right person at right time. Otherwise, you might miss lots of business opportunities.